Looking for the perfect condo in Breckenridge? The Water House on Main Street condominium complex is an ideal place to call your primary residence or second home! The Water House on Main Street complex takes full advantage of its location on one of Breckenridge’s best streets. The location is a huge draw for buyers who want to live in close proximity to all that Breckenridge has to offer, like local restaurants, art galleries and boutiques that are all within walking distance. The variety of winter and summer activities is endless; from skiing, snowboarding, dog sledding, and ice skating to golfing, tennis, whitewater rafting, fly fishing, and more. 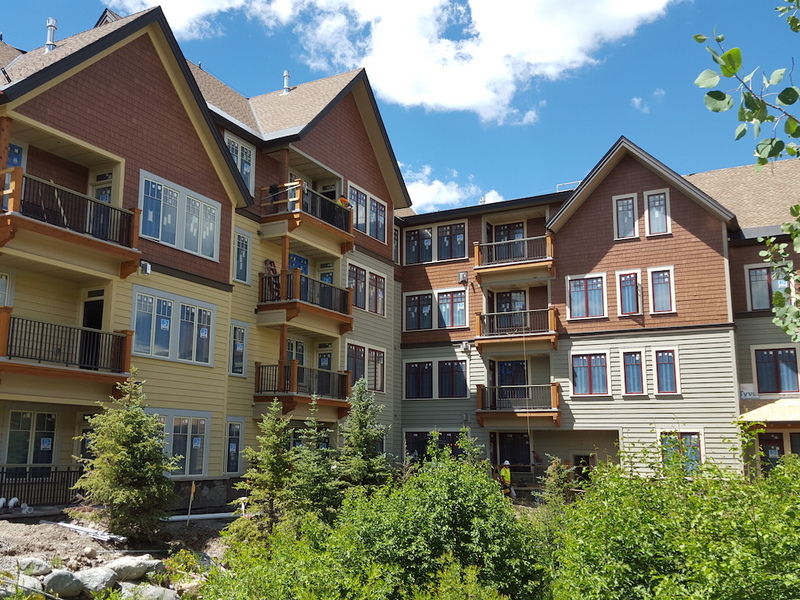 Precision Construction West (PCW) played a large role in completing the approximately $30 million condo project in time for the 2015-2016 ski season. In conjunction with Hyder Construction, Inc., PCW recently completed construction on the Water House Building F on Main Street condominium complex. PCW was responsible for the installation of all exterior windows, doors, and fascia, in addition to the stair railing, deck trim, window trim, and more. With the exception of the stone work, PCW completed approximately 90 percent of the exterior finishes on this project. Buyers at Water House on Main Street will delight in one- to four-bedroom condos that offer approximately 894 to 2,115 square feet of living space with between 1.5 and 4 bathrooms. They can choose from two different furnishing packages, and all of the condos feature a gourmet-inspired kitchen with stainless-steel appliances and slab-granite countertops, gas fireplaces, private balconies, heated parking, and sweeping mountain and Illinois Creek views. 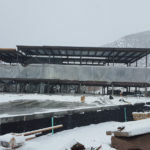 Slifer Smith and Frampton, the largest independent luxury real estate brokerage in the Vail Valley, has been tasked with selling the Water House on Main Street units. For Aspen parents, one of the most revered educational experiences in the area is the Aspen Community School. The longstanding K-8 school in Woody Creek prides itself on a unique educational approach, helping students meet and exceed their potential. Now, students are delighting in a new campus building and gymnasium, and all of us at Precision Construction West are proud to have been part of this project. 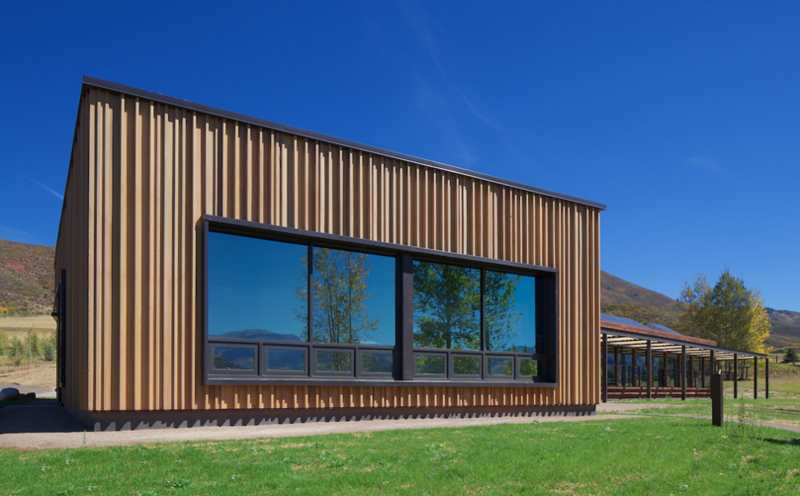 In partnership with Evans Chaffee Construction Group, we worked together to build the new Aspen Community School and gymnasium for students, teachers and parents. 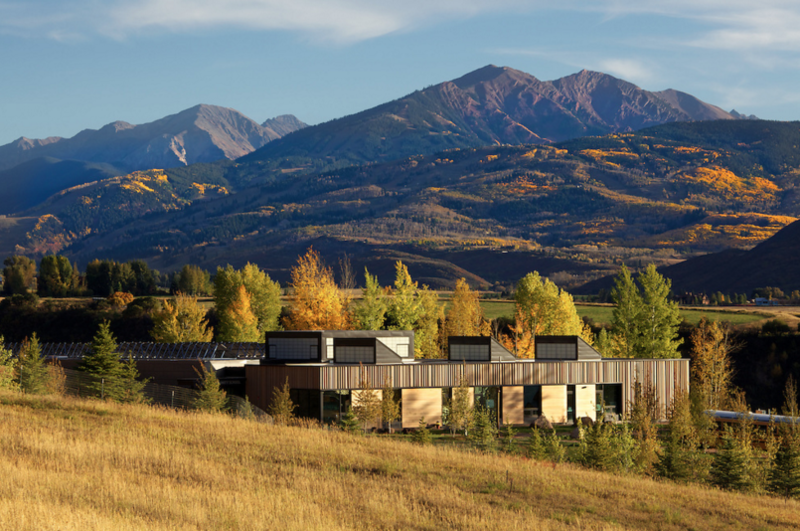 The Aspen Community School is an award-winning charter school that is known for their academic excellence. They focus on providing students with small class sizes and personalized instruction that focuses on the visual and performing arts, community responsibility, social justice, and more. Specifically, we supervised and managed the structural framing and exterior siding/trim for the new 14,000-square-foot K-8 school building and the 8,000 square foot gymnasium. The new 8,000-square-foot gymnasium was built with state-of-the-art glulam, or glued laminated timber. It is stronger than steel and offers more stiffness and strength than traditional lumber. The original structure was built in 1970, so it was certainly time for a refresh to help both of the structures last for years to come. 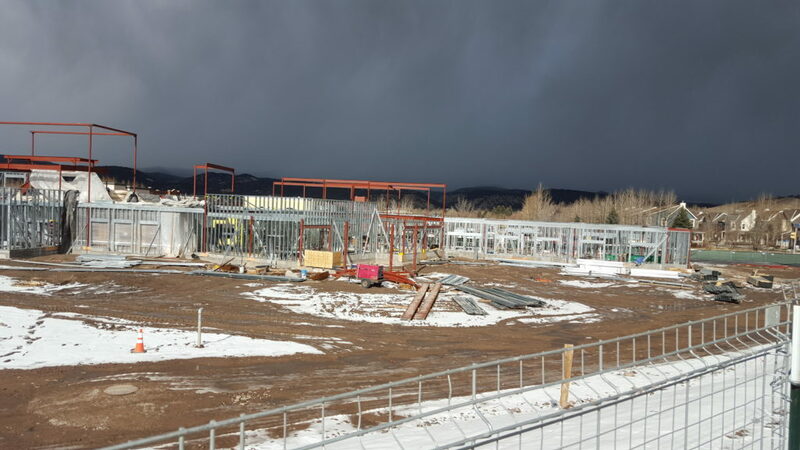 If you are considering starting a construction project in the Vail Valley area, please contact Precision Construction West (PCW). We are a full-service construction company with experience in the commercial and residential sectors. We have worked on various projects throughout the valley and would love to meet and discuss your building objectives. When Vail Resorts was looking for assistance with their ski signage project at Chairs 3 and 4, they knew just who to call: Precision Construction West, Inc. (PCW). After completing several projects together over the years, it just made sense to go with a company who knew their operation and brand, and who could tackle the job with a limited timeline. The objective was to offer better signage to out-of-town patrons who were hoping to access Chairs 3 and 4. This required constructing two large corbels to provide a better overall experience for skiers and snowboarders at the mountain. Vail Resorts’ objective was to complete the signage project prior to the opening of the 2015-2016 ski season. For some construction companies, the timeline and the geographic logistics could have been a challenge. But thanks to their extensive mountain resort experience, PCW executed the project flawlessly. 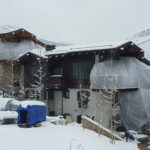 In addition to the Chair 3 and 4 project, PCW has completed a number of other projects for Vail Resorts in past years, including the construction of Beaver Creek’s Talon’s Restaurant, the construction of 10th Mountain Restaurant at Vail Resorts and the framing, siding and trim on Vail’s new 18,000 SF Gondola Storage Facility. Todd Morrison, owner of Precision Construction West, was pleased to receive the phone call from Cusworth. 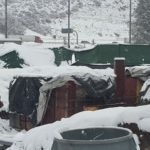 For assistance with all of your Vail Valley construction needs, please contact us. We are a full-service construction company who specializes in commercial and residential projects throughout the valley and we would love to discuss your unique project. 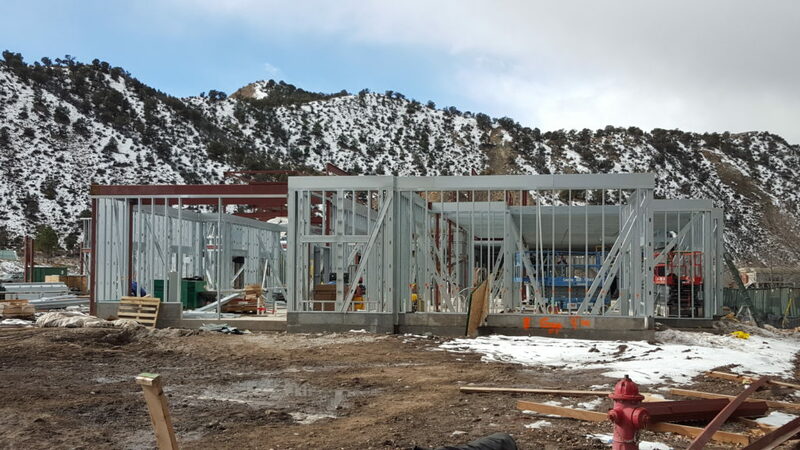 When it comes to structural steel and metal stud vs. wood in commercial construction in Colorado, steel has the ability to span much larger distances in a typically smaller overall member size. In fact, steel can span distances where engineered wood materials ultimately are not available, or when fabrication isn’t economically feasible. This is why steel framing in commercial buildings is important, since commercial structures are generally much larger than residential projects. 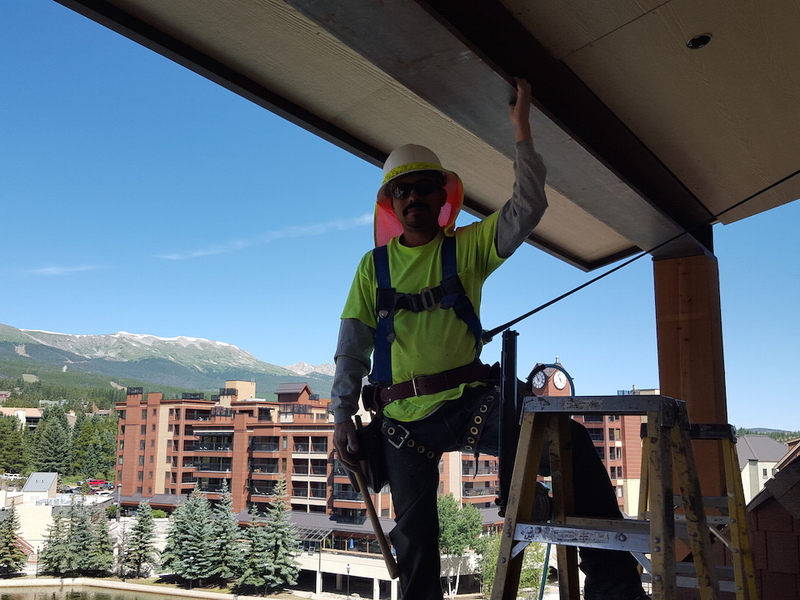 In addition to its superiority in large structures, another benefit to steel vs. wood framing in commercial buildings is that structural steel is relatively easy to pre-fabricate offsite, rather than requiring onsite welding during the erection process. During prefabrication, patterns for hardened bolts can be engineered so that beams and posts can be set and positively connected to one another quickly, once they arrive onsite. This saves time and makes for a more efficient construction site. Hardened bolts can also be torqued or turned to an engineer’s requirements. Steel allows designers to create uniquely shaped structures that are much taller than wood construction will allow. 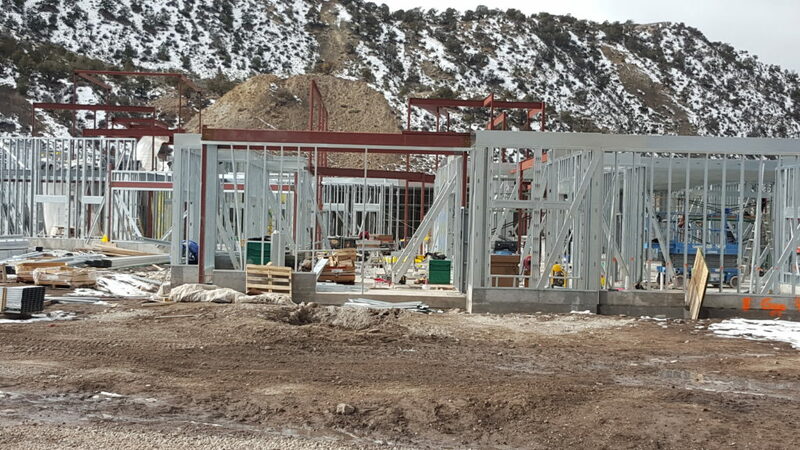 Infilling a steel structure with metal stud framing is an industry standard in the commercial building environment. Metal studs don’t warp or bow the way wood does, which means walls can stand straighter if they were constructed from wood. In addition, they make an effective method of fire prevention. Metal studs are non-combustible, which allows for longer periods for evacuation. Wood framing can raise certain safety issues. The wood may attract termites and other bugs, as well as rot, water damage, and other factors that don’t impact metal frames. Creating a wood structure requires the clearcutting of trees as well, which has a negative impact on the environment. One drawback to steel vs. wood framing in commercial building is that metal studs have a lower R-Value than wood when it comes to insulating capacity. However, there are numerous alternatives for insulating wall cavities that can make up for this deficiency. Metal studs can be covered with dense glass with a high fire resistance rating. The glass is then overlaid with rigid insulation panels, which improve the overall R-Value of the wall construction. The other drawback to structural steel and metal stud vs. wood in commercial construction is the cost. Metal stud construction is more expensive than wood. Still, it’s worth the extra expense for the stronger, safer, higher quality construction that steel and metal stud construction offer. When it comes to steel vs. wood raming in commercial buildings, the choice is clear. 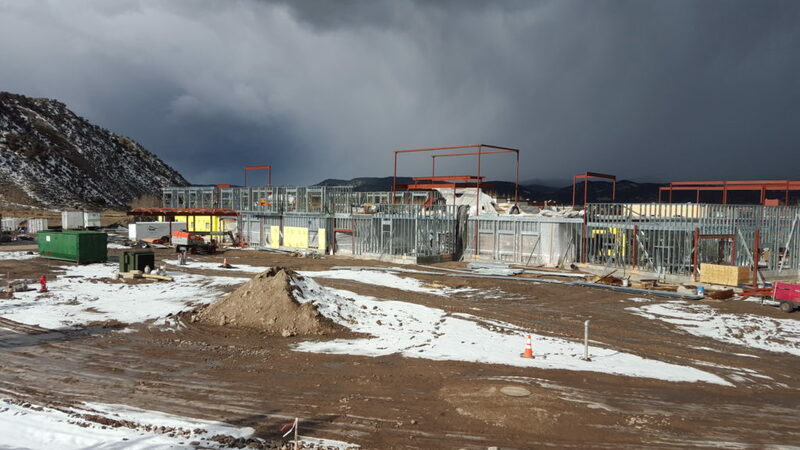 Commercial building and data center construction in Colorado is a bit more of an ordeal than it is in other parts of the country. 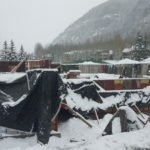 In addition to other considerations, you need to make sure your building is protected against the mountain weather—particularly in the winter. 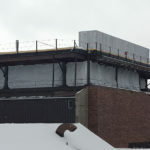 Wind, snow, cold, and other factors can cause serious damage to a building if you’re not careful. 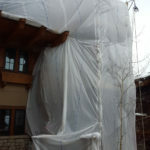 So what precautions can you take to winterize a mountain building as it’s being constructed? Here are a few tips. Waterproof Concrete. Concrete is strong and dense, to stand up to stress. Naturally, however, it’s also porous and can allow moisture from the snow into the structure. It, therefore, must be specially treated to be made waterproof. There must be a low water/cement ratio, to increase durability. 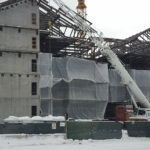 And once the building is erected, it must be treated with a liquid applied membrane that can mold to the structure and seal out moisture of any kind. Lighter than steel, it’s still extremely durable, even at very low, winter temperatures, due to its thermal conductivity. It also generates its own protective oxide coating, which resists corrosion without the need for coating/painting. Building materials are only half the battle. There are a number of other precautions to take, to make sure that the building is protected from the mountain winter, both inside and out. When windows and doors are installed, they must be made airtight, to keep cold air and moisture from entering the building. Any crack or separation can let air in and drive heating bills through the roof. In addition, windows should be thick, high-performance windows that keep the heat in. Double-paned windows are a good option as well. 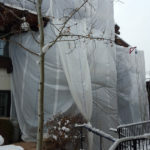 Insulating a metal building isn’t the same as insulating, say, a home. But the good news is, you can use many of the same types of insulation, from loose fill to batt to spray foam. Fiberglass is the most popular choice for steel buildings. However, the installation is a little different, as is the general purpose. Insulation in a commercial building is meant not only to keep cold air out but also to protect against moisture and mold, which can seriously damage the structure. Pipe Protection. Pipes must be properly insulated as well, to keep them from freezing in lower temperatures, causing the pipes to break and subsequent water damage in and around the building. Pipes should also be caulked at the point where they enter the building, to make sure they’re well-sealed. An ounce of prevention is worth a pound of cure. 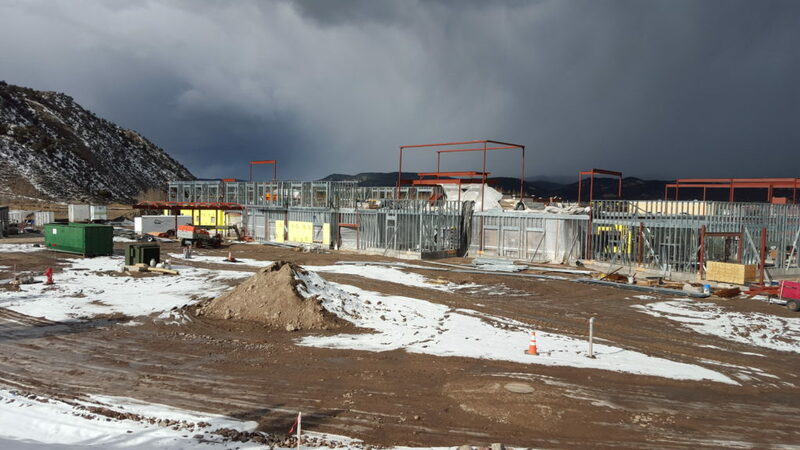 Following a few simple winterization procedures during commercial and data center construction in Colorado can save a lot of hassle and a lot of money later on, once the building is in use. If the building is properly protected against the elements at the start, then that protection will last for years to come.